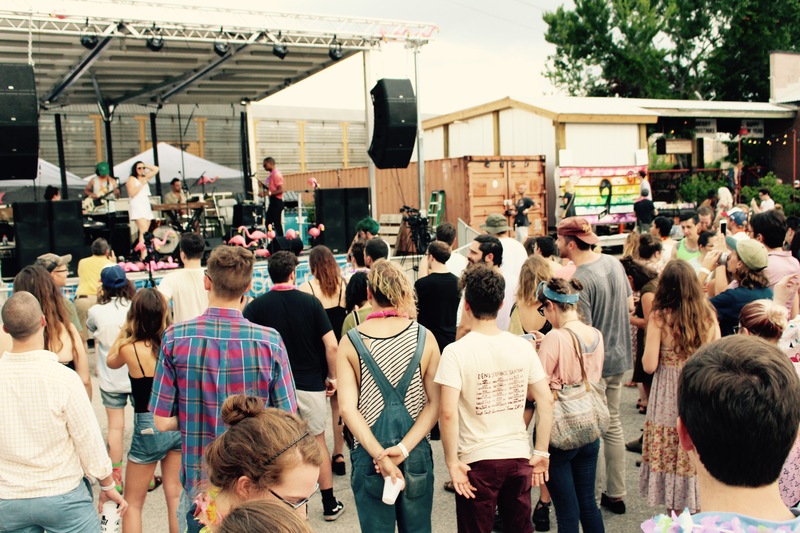 Hearts & Plugs third annual Summer Shindig brings biggest crowd yet, proving progress of the label's headlining acts. 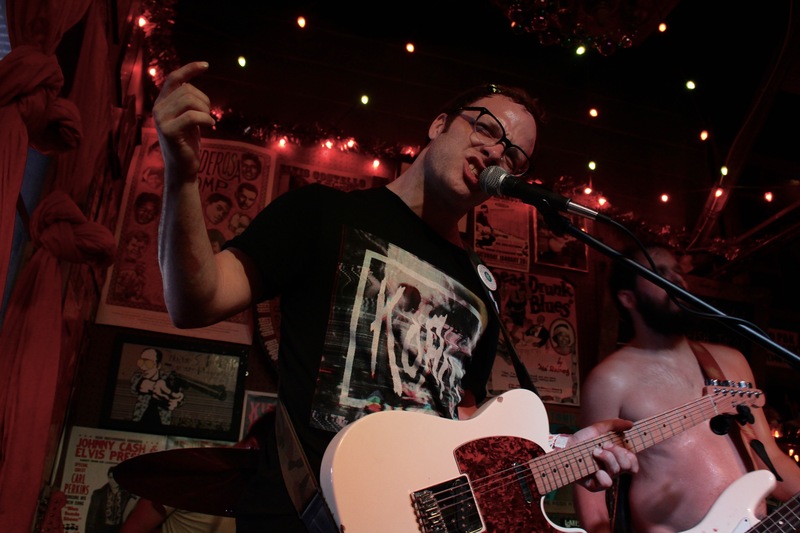 The Hearts & Plugs Summer Shindig has been a staple for me and for the South Carolina community since its inception three summers ago at King Dusko. 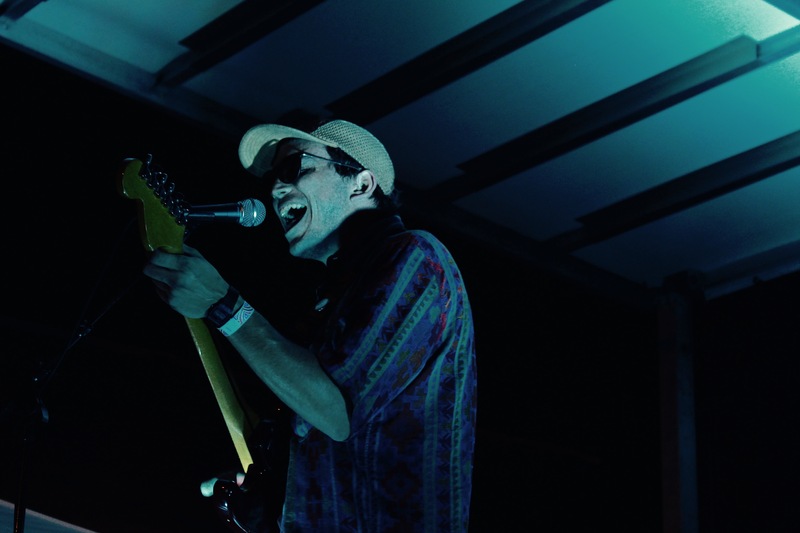 What started off as a mini music fest featuring Jeni’s ice cream and flower crowns has turned into a full-blown flamingo-flavored celebration, the pink birds first making their appearance last year at Palmetto Brewery. The theme has blossomed, growing into flamingo tanks and temporary tats, as well as a sea of plastic birds lining the stage and making their way into the crowd. This year, at Royal American, the crowds were substantial, sprawling out across the parking lot. The music scene gathered in full force to indulge in some good old Hearts & Plugs record label artists and their delicious tuneage, despite the looming rain clouds. This year unfortunately got off to a rainy start, with puddles and water droplets delaying the procession. Rumor has it that a speaker was ruined, and a back up had to arrive before things could kick off. Hearts & Plugs main man Dan McCurry was scrambling from place to place, with a plastic palm tree and then like five guitars in one hand. He was the true man of the hour, helping to make things go smoothly while also playing in multiple bands. The 5 o’ clock fest was pushed back almost an hour, but the Genesees and King of Pops were slinging. Hermit’s Victory kicked things off with a full stage, including some key trumpeting from Clay White and impassioned drumming by Johnny Delaware. McCurry rocked the bass along with a rainbow lei, some summer shades, and a flamingo tank. 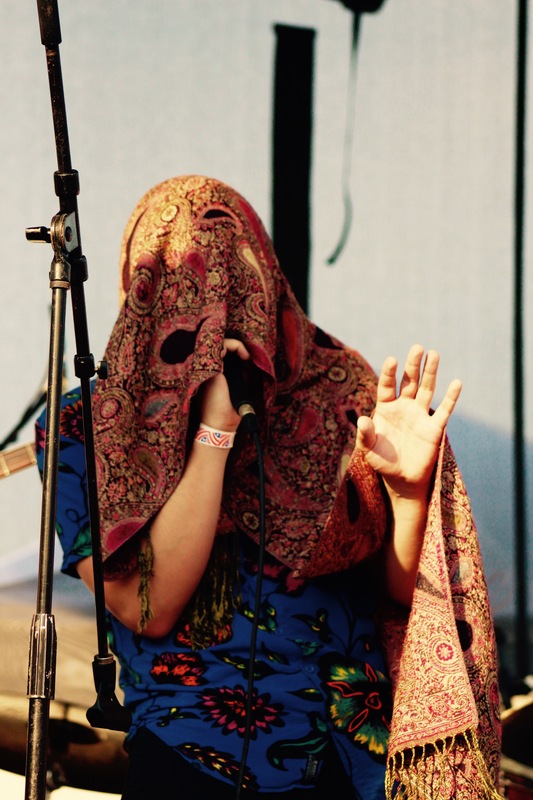 Lead man Tyler Bertges was having some mic stand trouble, weighed down by a groovy tapestry which he proceeded to cover his face with and sing from underneath. It was quite the quirky touch. After a quick stage shift, Grace Joyner was up, playing the crowd into a melodic trance. Nic Jenkins graced the electronic drums, and McCurry made another stage appearance. A particularly expressive flamingo was staring at me a little peculiarly while I took photos. At this point, my podcast co-host D.J. Edwards took my camera and had a little fun, just in time for a monstrous train to begin rolling by. Classic Charleston for you! At this point, it also started raining again, thunder bringing the crowd sprinting for cover on the Royal American patio. The H&P crew worked fast to quickly cover the speakers and protect the precious equipment. Meanwhile, we staked out on deck and watched as the rain came and the looming clouds raced across the sky. It was a speedy afternoon downpour, but it had done its damage. The next show was moved inside. ET Anderson had the most killer show of the festival, even though they had to play inside. With Tyler Morris’ evil eyes and Hot tub John’s shirtless enthusiasm, the headbanging began in no time. I was perfectly positioned at stage right in the front row, so I got a stellar view of Morris’ expressive glares and unearthly head twists, as the favorite menacing line appeared, “I’m gonna get you back for what you did!” Unparalleled passion comes into play every time this band performs. It’s relentless, and the unique rhythmic tensions and explosions are incredibly intoxicating. The High Divers cleared up the rain with their obvious “Summertime” magic, and began the next set back outside. The clouds cleared out with some high energy, upbeat tunes that you simply couldn’t help but shimmy to. 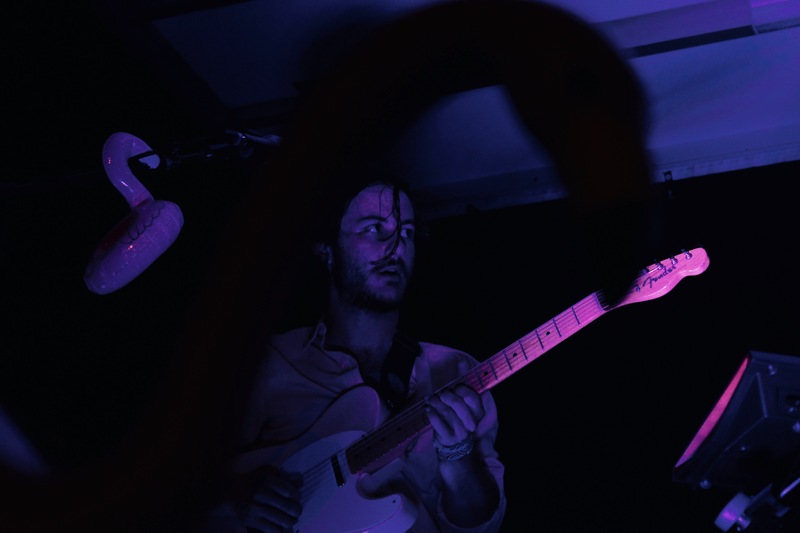 Luke Mitchell’s lead vocals draw you in and leave you warm and tingly feeling. Mary Alice Connor even brought out her polaroid camera to snap an audience pic…I was totally front row dancing uncontrollably. Next up was the much anticipated SUSTO, where Jesus Christ made an appearance. (Johnny Delaware wore the regalia from the recently released “Chillin’ On the Beach with my Best Friend Jesus Christ video.”) Even though the parody track only dropped a few days ago, the crowd was already singing along in full force to this Southern hipster classic featuring two South Carolina staples: Jesus and Bud Light. They played many more of their singalong favorites, including “Friends, Lovers, Ex-lovers: Whatever,” “County Line,” and “Acid Boys.” Justin Osborne has brought the hits since Sequoyah Prep School Days but with partner in crime Johnny Delaware, SUSTO is unstoppable. In fact, with all their recent success, it was a surprise SUSTO wasn’t the ultimate headliner, but Brave Baby held onto the acclaimed spot. Closing the Hearts & Plugs Summer Shindig with some “Plastic Skateboard” and “Magic and Fire,” Brave Baby brought down the house. The crowd was at its peak, and the rain was holding off, and it was a magical ending to a fabulous festival. Though the rain caused some obstacles, Dan McCurry and the whole crew pulled it all off with flying colors for the most successful Summer Shindig yet. All I can say is, I can’t wait to see what they’re going to do next summer!